custom cable assemblies. The Flexible version, our Mini-Flex, has an FEP jacket, round braid and inner spiral shields and is available in 2 diameters, .105" &.165". The Semi-Rigid cables are available with a copper or aluminum jacket and available with a selection of different platings and 4 different diameters (.047", .085", .141" & .250"). The Conformable®, or hand formable (BJ - Braided Jacket), has a tin filled braid with a metal foil underlay and is also available in the same diameters as the Semi-Rigid type . All 3 types (Semi-Rigid, Conformable & Mini-Flex) are manufactured using the same type dielectric core and have virtually the same electrical performance. The decision of which cable to use should be primarily based upon your application. Smiths Interconnect offers several options for cable assemblies including amorized, weatherized, dust caps, extended boots, phase match, RoHS and weather proof sealing. 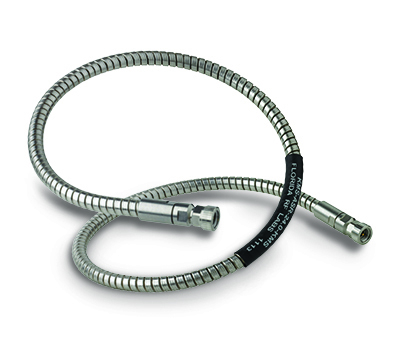 From the production floor to outdoor usage to air-frame environments, Smiths Interconnect has options that will allow your cable assemblies to maintain their performance by increasing the assembly durability and ruggedness to a level required in many extreme terrestrial environments for mission critical applications. The Lab-Flex® line of products is made with the finest materials, low-loss dielectrics and our solder sleeve termination process provides a robust and durable cable-connector junction. These assemblies are available with customized option packages to suit the needs of most applications and most designs are available in 4-5 weeks. Our Lab-Flex® cable assemblies provide similar performance benefits as our High performance line with the added effects of being designed specifically for high flexure applications and extreme durability. The Lab-Flex® T products are designed to be low loss, high frequency cables that have minimal phase change over temperature and flexure. The phase response near room temperature is virtually flat and cables tested through a much wider temperature range experience only 600ppm delta from -40° C to +85° C. Phase over flexure response is extremely stable as well making this product an ideal choice for any application requiring consistency in the signal timing. The ASR and ASR-F line of test cables are designed to maximize the repeatability of your test set-ups for results that remain consistent over hundreds of test cycles. Durability and excellent frequency performance is designed into every product on this line with the added bonus of being made with very phase stable materials. These products are available with the NMD test port connectors to allow for direct mating to the test port when a more permanent test set-up is desired. The Mini-Flex and Titan-Flex® product lines are excellent choices for economic choices for high frequency applications. Available in 2 diameters, these cables also are excellent upgraded replacements from many Mil-17/RG cables with the performance improvements of direct solder connectors and are available to increased frequency limits and with better shielding and loss characteristics. 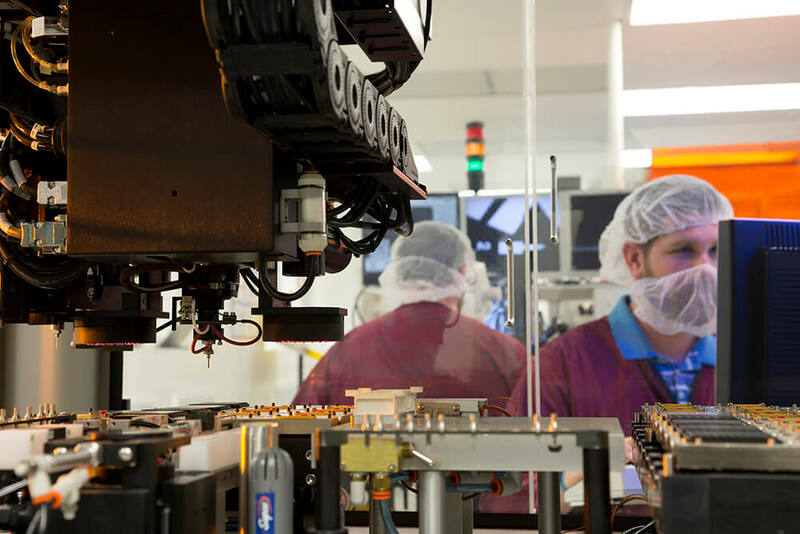 Smiths Interconnect’s SpaceNXT™ product portfolio provides customers a combination of technology and lower cost of ownership solutions that enable operators to overcome potential market entry barriers while enjoying the benefits of an established market player.